West Trenton, N.J. – The New Jersey State Police is teaming up with law enforcement officials from throughout the country for a special “I-80 Challenge Highway Safety Initiative” to ramp up enforcement of life-saving traffic safety laws during one of the busiest travel times of the year. From July 24th to July 31st, troopers and other law enforcement officials patrolling the Interstate 80 corridor across the U.S. will be cracking down on drivers who are speeding, driving while intoxicated, or not wearing a seat belt, with the goal of achieving a zero fatality rate for the eight-day period. Law enforcement and highway safety officials say too many lives are being lost on I-80 from those who violate basic traffic safety laws. This safety initiative targets a heavy summer travel period when the rate of fatal and injury crashes on Interstate 80 is higher than any other time of the year. New Jersey experienced 13 crashes resulting in 14 deaths on Interstate 80 in 2012. This year on Interstate 80 there have been four crashes resulting in four deaths. That is a 42.8 % decrease from this time last year. Nationally, in 2011, more than 21,000 passenger vehicle occupants across the nation were killed in traffic crashes. Of those fatalities, 52 percent were not wearing seat belts at the time of their fatal crashes. Approximately 9,900 people were killed in drunk driving crashes, with more than 3,300 killed in fatal crashes involving a distracted driver, and nearly 10,000 lives were lost in speeding-related crashes. 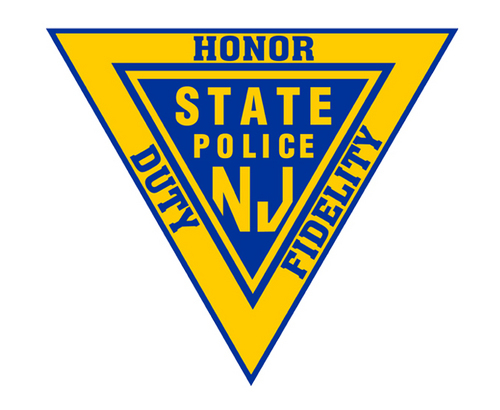 The U.S. Department of Transportation’s National Highway Traffic Safety Administration and Federal Motor Carrier Safety Administration has partnered with the New Jersey State Police to implement combined highway safety law enforcement campaigns which focus enforcement on multiple traffic safety laws at one time. For more information on the campaign, please visit www.trafficsafetymarketing.gov. Follow the New Jersey State Police online at Twitter and Facebook. The social media links provided are for reference only. The New Jersey State Police do not endorse any non-governmental websites, companies or applications.